A 1938 French semi-postal showing a blind man with a radio. The French inscription means "radio for the blind". 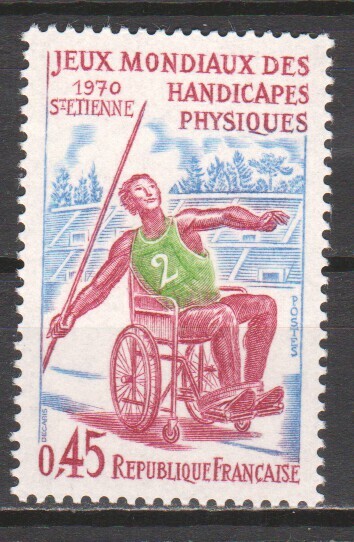 A 1970 French stamp for the World Games for the Physically Handicapped at St Etienne in central France. 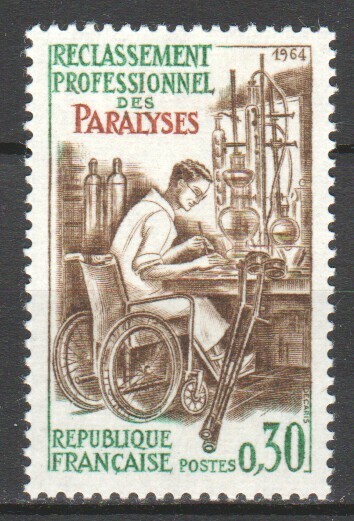 A 1964 French stamp celebrating the occupational rehabilitation of people with paralysis: it shows someone working in a lab.